Located in San Francisco's Lower Haight district on the famous bicycle route, The Wiggle, Fritts Family Chiropractic provides safe, gentle and effective chiropractic care for the dynamic San Francisco community. Based on our exam findings and your health history we will create a personalized care plan appropriate for your specific needs. We help people from all walks of life to experience new levels of health and wellness. If you are an elite level athlete looking for that extra bit of performance to take you to the next level, or a parent looking to get out of pain to spend more time playing with your kids we can help. We will tailor your care plan to you and your needs. Our non-invasive techniques are highly effective at getting you out of a health crisis situation, provide supportive and preventative care to avoid future similar situations as well as promote whole new levels of health and wellness. As many first-time patients aren't always familiar with the possibilities of chiropractic, Dr. Fritts emphasizes communication in every appointment. Each step is explained so patients understand the how and why behind treatment, from big-picture questions to specific details about benefits to the musculoskeletal system — and how that impacts your overall well-being. The end result is a customized plan that addresses current problems from their root cause, not just suppresses symptoms. This in turn provides a foundation from which you can thrive. Same day apps are welcome and all insurance providers are accepted. Payment plans available upon request. Contact Fritts Family Chiropractic today to schedule your initial visit. Dr. Garret Fritts came to chiropractic not with career aspirations, but as a means to healing his own injuries. Following a bad multi-car accident, traditional medical solutions produced only limited results, so much so that Dr. Fritts found himself barely capable of walking. After hearing about chiropractic care and receiving his first adjustment, he was convinced that this was a better path to healing. After six weeks, he was so impressed with the profession and his own healing, that he left his job at a technology company and began the four and a half years of education required for his doctorate. It was the best decision of his life. 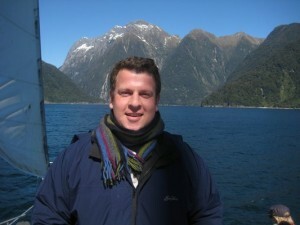 Dr Fritts received his Doctorate in Chiropractic in 2009 from Life University in Marietta, GA. 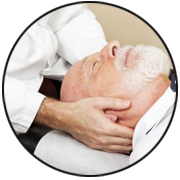 He has attended over 100 optional weekend seminars with the leaders in the profession to furthur master his skills and be able to offer his practice members the very best care possible. After graduation, Dr Fritts worked as an associate in two dynamic practices in Florida and Maryland where he enjoyed serving people from all walks of life. When it came time to decide where to open his own practice, he decided to return to his favorite city of San Francisco where he had lived prior to graduate school. Today Dr Fritts is renowned by Bay Area residents as a thorough, gentle, and effective chiropractic provider. In his free time, Dr. Fritts can be found playing tennis, skiing, camping, or enjoying live music all over Northern California. "It's not about your back, it's about your life." General chiropractic care relieves pain, decreases inflammation, and heals the body by addressing the body’s musculoskeletal balance. This helps to expedite overall healing and can be used for all types of patients: new and experienced, young and old, male and female. The root of many conditions stems from the spine. A spine that’s compressed or out of alignment can impact the nervous and circulatory systems, which then inhibit the body’s natural ability to heal. 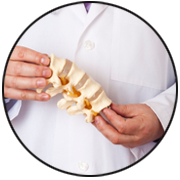 A spinal examination can provide a close-up view of what is causing numerous ailments. Whether it’s a sports injury, injury from a car accident, or other type of ailments, chiropractic can address issues for a better, more efficient healing process. 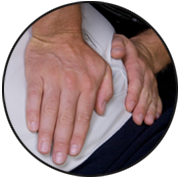 Treatment can focus on specific areas (shoulders, neck, elbow, knee, etc.) or use a whole-body approach to increase strength and range of motion while minimizing pain. The more a body is in balance, the better it is protected from injury. Dr. Fritts looks at a patient’s entire profile as a means for preventative care, from chiropractic-centric issues such as spinal alignment to nutrition, stretching techniques, and exercise habits. Pediatric chiropractic is a safe and non-invasive means of treating a variety of issues and symptoms in children. Both physical conditions and emotional disorders can be addressed by using chiropractic as a means to deliver results without drugs. Senior citizens face their own variety of unique health challenges. From everyday preventative care to issues such as long-term orthopedic injuries and arthritis, chiropractic can be a safe and effective path to ensuring a long and productive quality of life during the golden years. Interested in seeing how chiropractic can help you or a loved one? 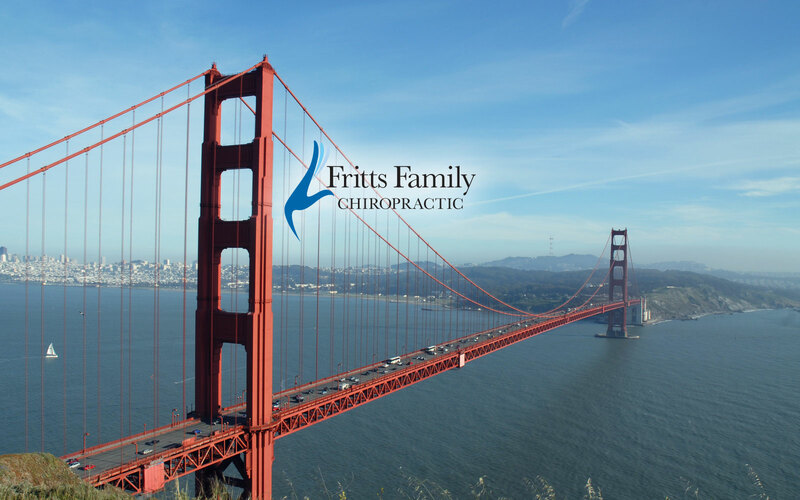 Schedule your initial consultation at the Lower Haight office of Fritts Family Chiropractic today. Have a question for Dr. Fritts? Dr. Fritts treated me a couple of times when I’d experienced sciatica. His office in the Lower Haight is very pleasant and easily accessible by Muni. Dr. Fritts scheduled me an appointment just a day after I called and seems very flexible concerning appointment times. I found Dr. Fritts to be incredibly helpful and friendly, and willing to explain exactly what he was doing. After the first adjustment (which included aligning vertebrae near the base of my skull), I haven’t had a single headache since. Definitely a positive experience and I will be going back for more adjustments. Dr. Fritts helped me so much with his adjustments! His strong steady hands give great adjustments and helped me to not only feel better but helped my body to function better overall. Thank you Dr. Fritts! Dr Fritts is a fabulous Chiropractor. I highly recommend him. He has given me great adjustments in his beautiful office in the Lower Haight. I left feeling balanced and pain free. Call him and make an appointment today-you will be thankful. Chiropractic website design by Forward Push Media.